Laid down, 20 July 1944, at Commercial Iron Works, Portland, OR. 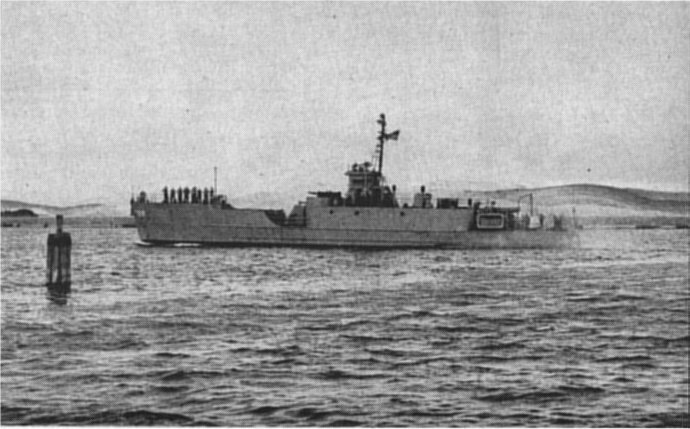 During World War II USS LCI(L)-799 was assigned to the Asiatic-Pacific Theater. USS LSIL-799 served as the training ship for the Naval Reserve Center at Burlington, VT., while homeported at Boston, MA. from 1947 to 1993. 238k USS LSIL-799 moored at St Albans, Vermont, in the summer of 1953. CDR Robert E Walsh USNR Ret. 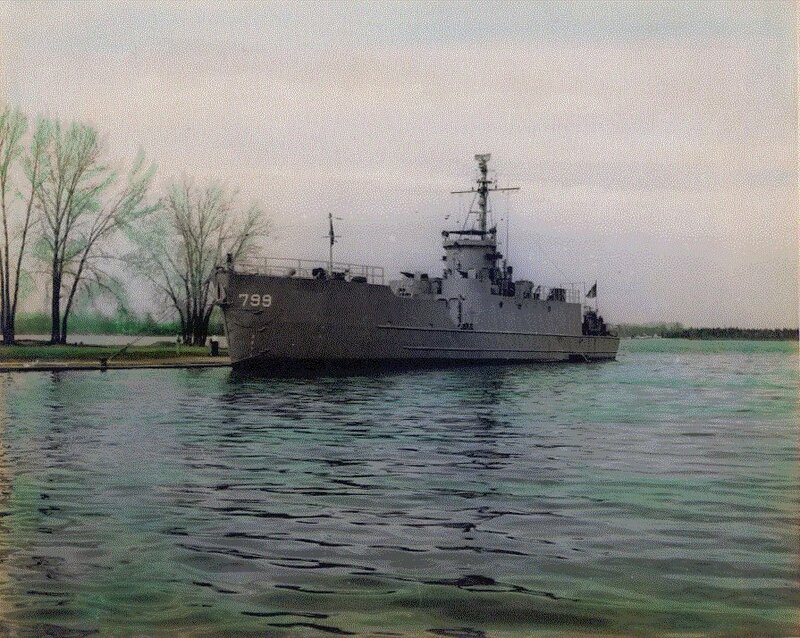 63k USS LSIL-799 underway, in the harbor at Burlington, VT., date unknown. US Navy photo from "All Hands" magazine, November 1953. Joe Radigan MACM USN Ret.